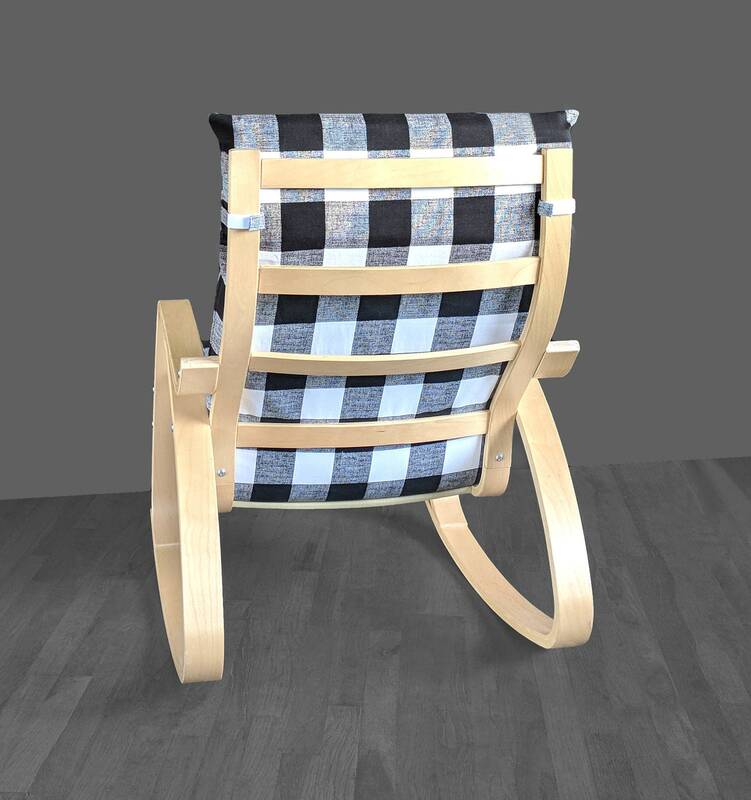 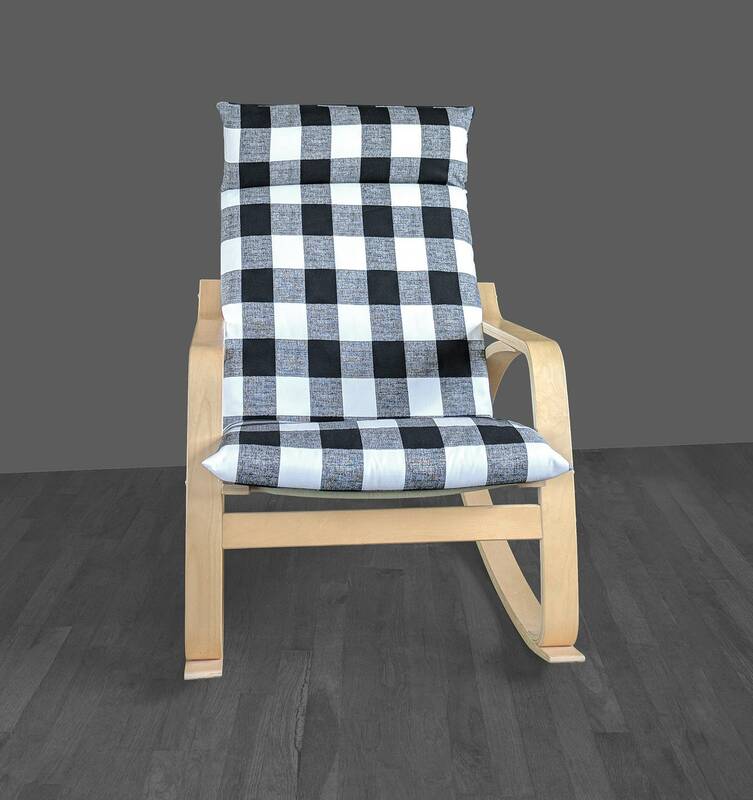 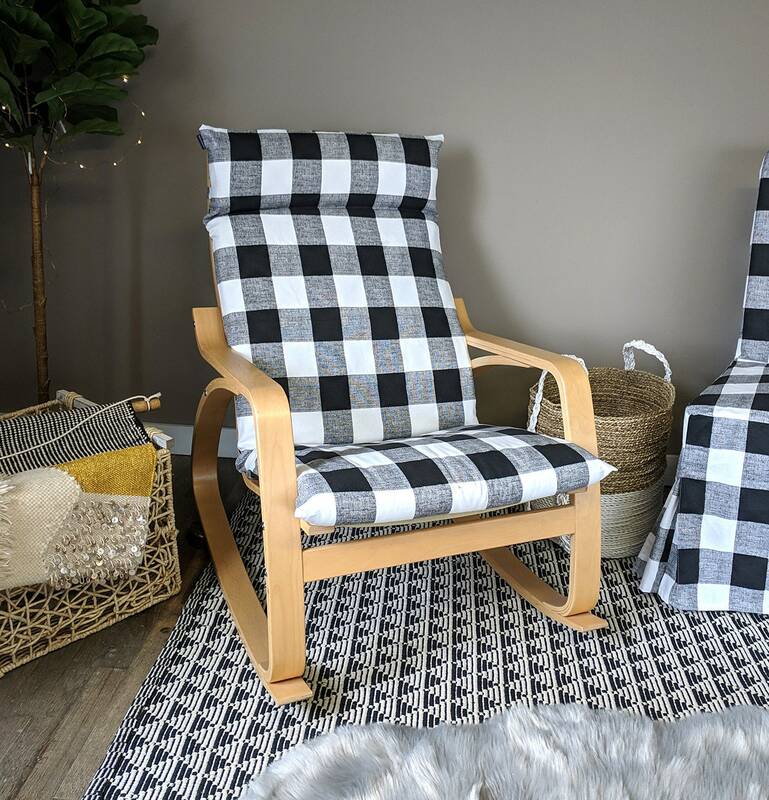 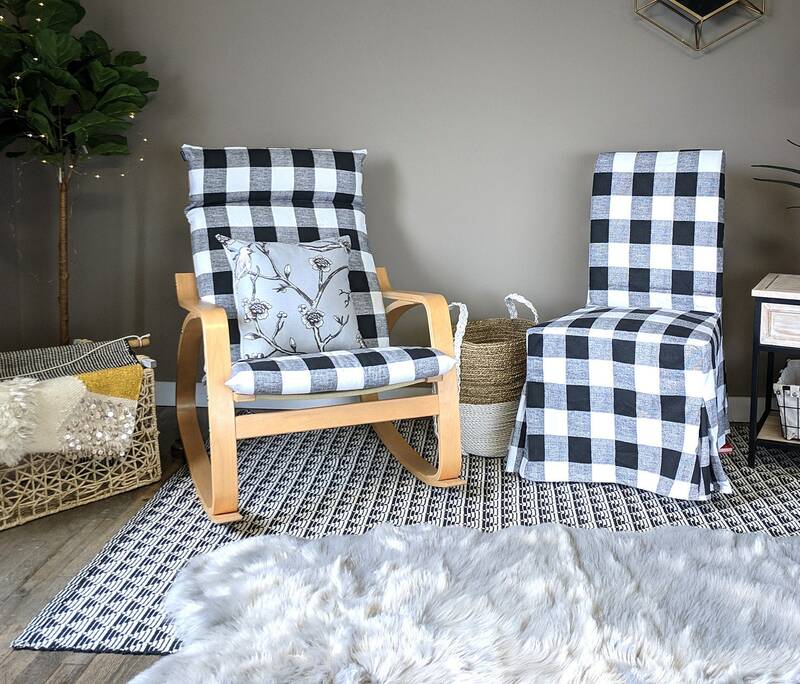 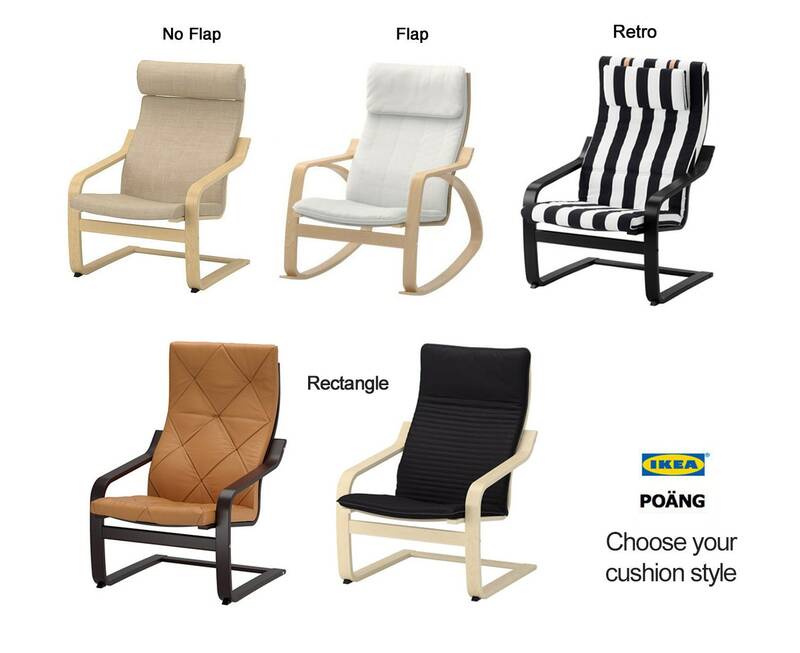 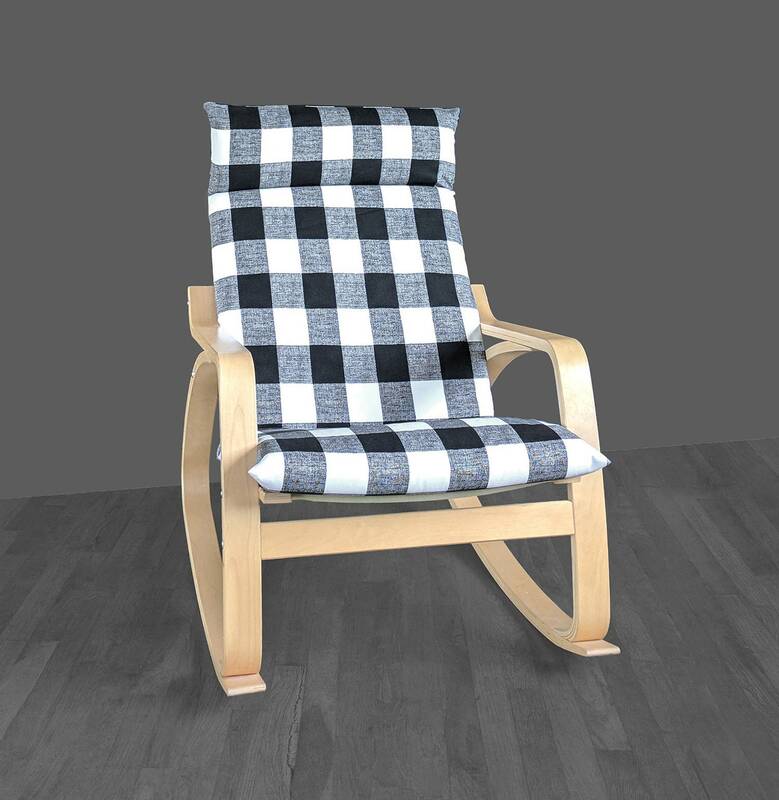 Beautiful slipcover for the IKEA POÄNG Chair cushion in buffalo check in black and white! 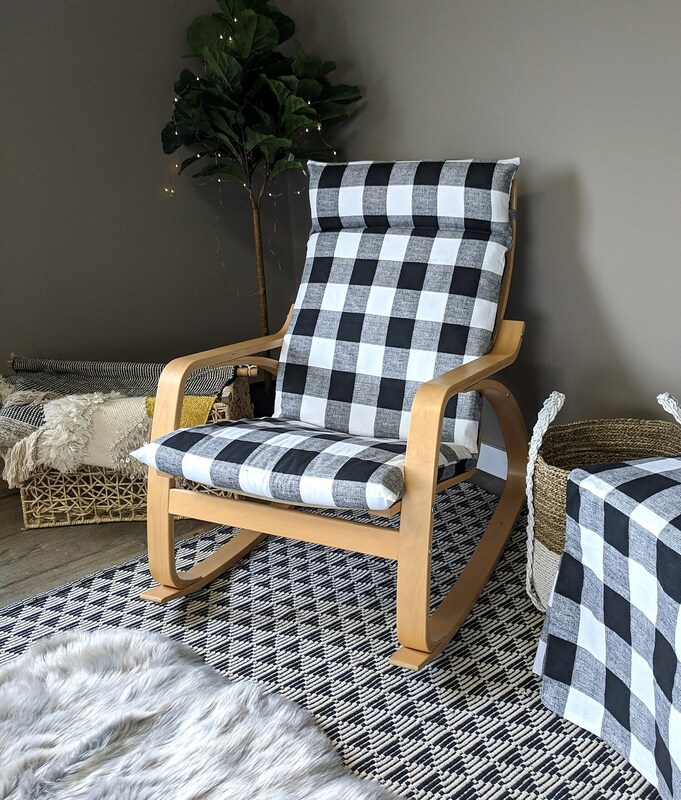 These items shipped quickly, looked great, and fit great but there was no velcro on the chair part and the velcro on the bottom was sewn vertically instead of horizontally so neither sticks to the chair or ottoman properly. 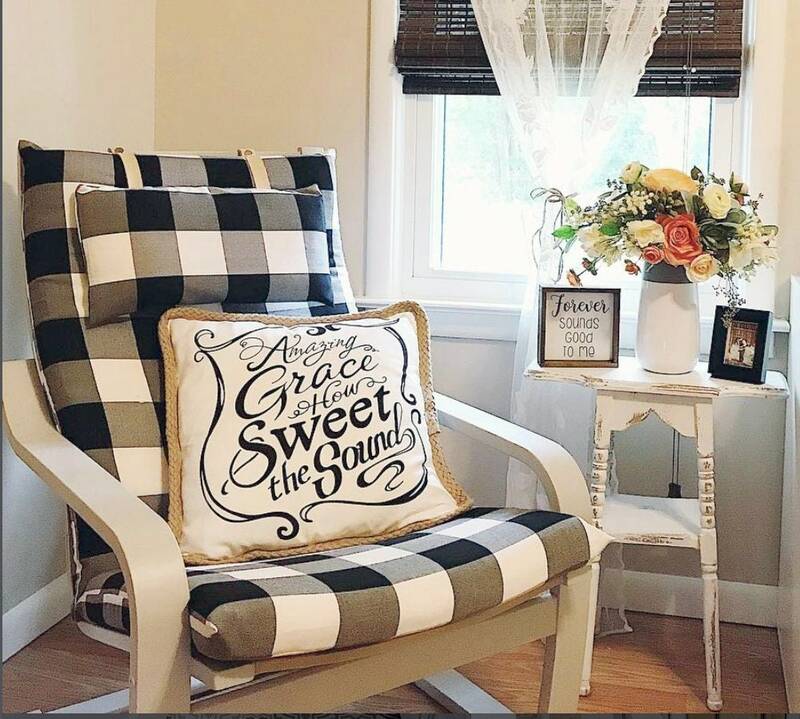 It's not a bid deal to fix, just not something I want to do.